Washington, DC – The Administrative Conference of the United States is an independent federal agency dedicated to improving the administrative process through consensus-driven applied research, providing nonpartisan expert advice and recommendations for improvement of federal agency procedures. Its membership is composed of innovative federal officials and experts with diverse views and backgrounds from both the private sector and academia. 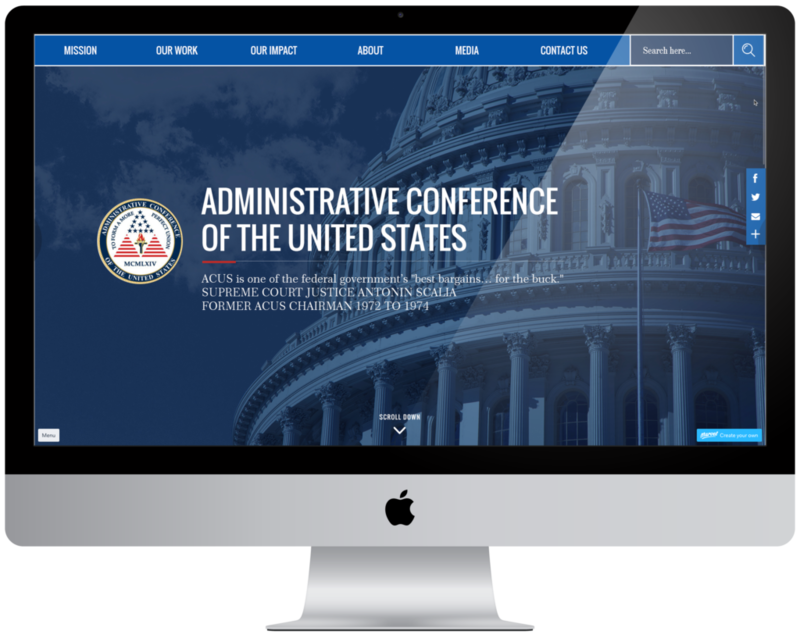 The Administrative Conference is committed to promoting improved government procedures including fair and effective dispute resolution and wide public participation and efficiency in the rulemaking process by leveraging interactive technologies and encouraging open communication with the public. In addition the Administrative Conference’s mandate includes fostering improvements to the regulatory process by reducing unnecessary litigation, and improving the use of science and the effectiveness of applicable laws. Learn more about the Administrative Conference by reading the Guide for Members. I am updating the website now and adding different taxonomies for the first time and the process is so easy and fun that I had to write and say thank you again. I could not be more pleased with the website and how it turned out and we are 110% happy with how everything is working! When I think back to the old website I shudder thinking about all the steps we used to have to take etc. This website makes my job so much easier and fun to do and you all are the reason for that. I used to dread anything involving the website and now it’s the best part of my day! I know it was a tough process getting here, but I just want you to know it was well worth it and I am so, so pleased with the final result. Blake – we could not have done this without Luis – he managed this project (and Stephanie and I!) superbly and the website is a testament to all of his hard work.